Killing Time Review: Food of Ghosts is a smart, original whodunit! OurBookReviews: Reached saturation point with the doom and gloom of Nordic Noir? Lothian Life Review: Food of Ghosts creates quite an appetite! More Midsomer than The Bridge – The Shoeshine Killer is a fun, enjoyable read! The Puffin Review: The Blue Suitcase – an invigorating and refreshing read! Daily Record: I Wrote A book! 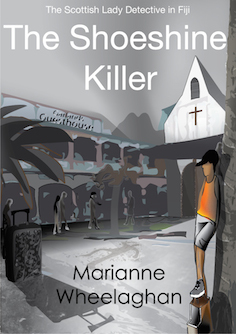 Hold onto your hats and grab your kindles The Shoeshine Killer is out! What do you do to de-stress? Delighted to be a featured author for the Crime Readers’ Association! what is the secret to being a successful writer? Enter the New Children’s Author Prize 2015 and you could win a publishing contract with Bloomsbury! The second Scottish Lady Detective mystery is out now! 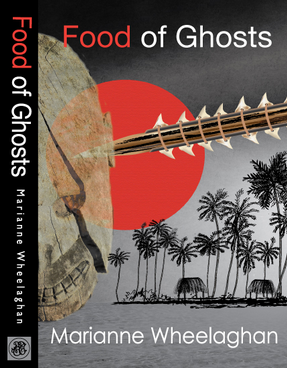 Food of Ghosts is the first Scottish Lady Detective mystery and “a smart, original whodunit”. 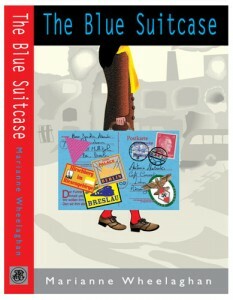 The Blue Suitcase is “a story that will stay with you forever”. Want to write but don’t know where to begin? Online creative writing workshops for all levels. Small groups. Great tutors. Join in from anywhere in the world. Click on the typewriter keys to find out more! Exciting new creative writing competition open to all writers! Marianne Wheelaghan on “Museum of Words” International Flash Fiction Competition now open! Rosaline Lapan Baker on “Museum of Words” International Flash Fiction Competition now open! Marianne Wheelaghan on Exciting new creative writing competition open to all writers! Samrana on Exciting new creative writing competition open to all writers! Ignite Books/Five star reviews for books published on the Kindle.